StopTech's High-Carbon Slotted 126 Stage 3 Brake Rotors. The only one-piece brake rotor you could buy better suited for severe use than this disc is the Cryo version of this same rotor (for $30 to $35 more). Other than that, order these brakes if your original brakes warp or if you are racing, towing, hauling, fleet driving or running over-sized wheels and tires that are taller or heavier than stock. 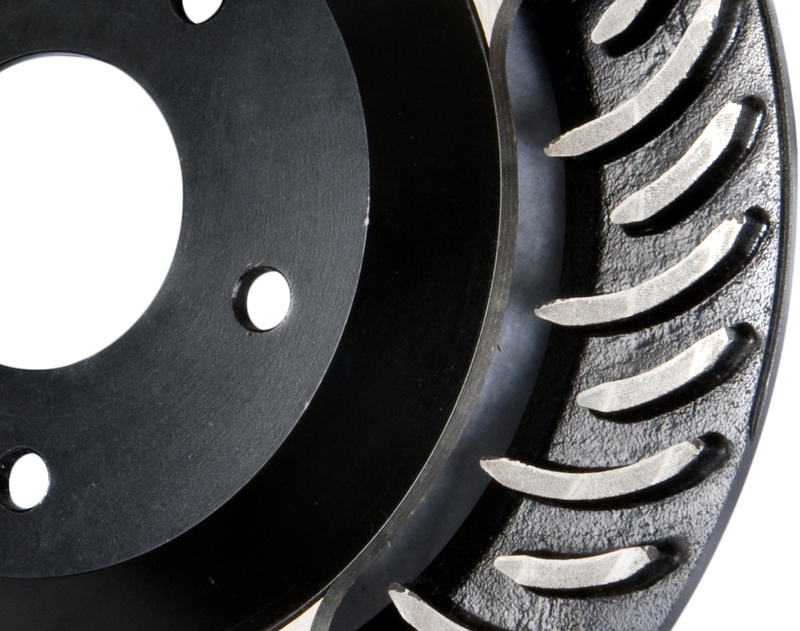 The slotted rotor provides the best brake pad bite of any other rotor design. Priced each. 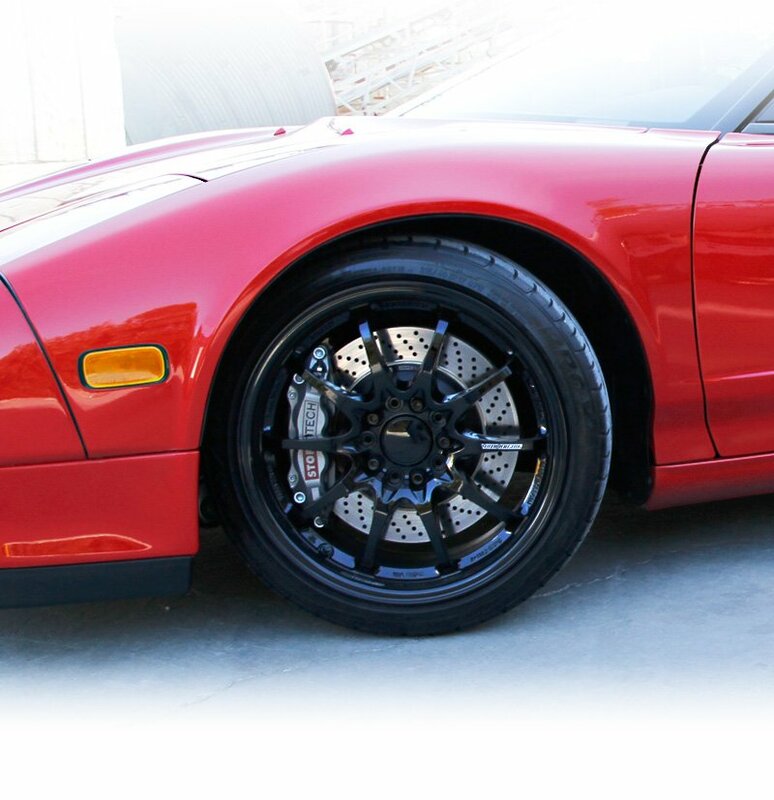 Performance wheels and tires are best complemented with StopTech® 126 Hi-Carbon Slotted Rotors. 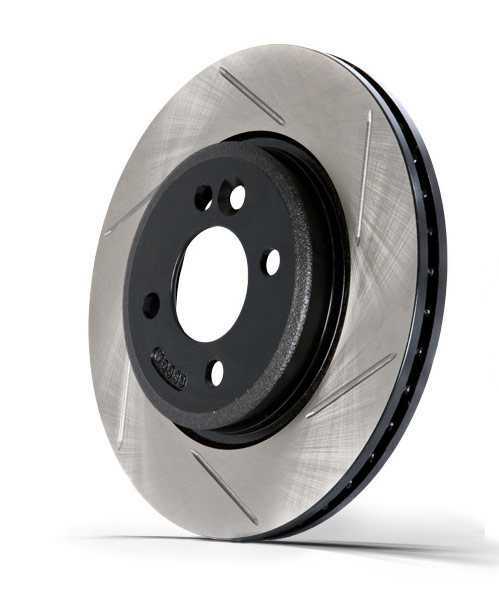 StopTech® slotted, drilled and drilled+slotted brake rotors prevent glazing of the pads, add bite and improve wet and dry braking performance. Every StopTech® Rotor is produced from a high quality Centric Parts® blank casting and finished in a durable e-coating for corrosion resistance.